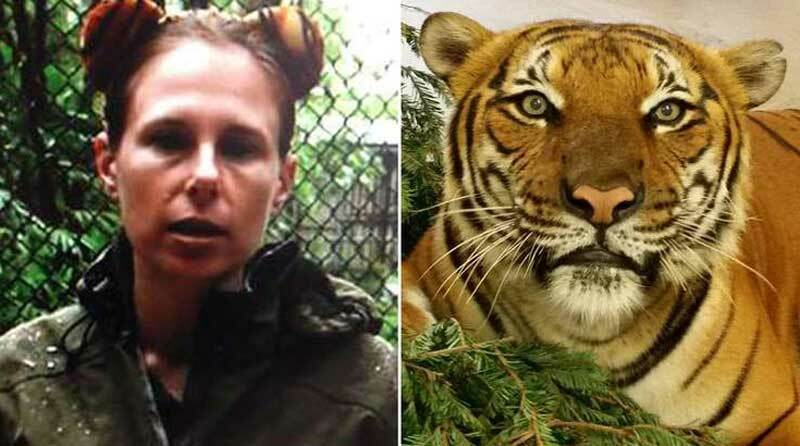 A tiger has fatally mauled a woman keeper inside an enclosure at Palm Beach Zoo in Florida. Stacey Konwiser, 38, suffered a "severe bite" wound while inside the big cat's habitat on Friday afternoon, say zoo officials. 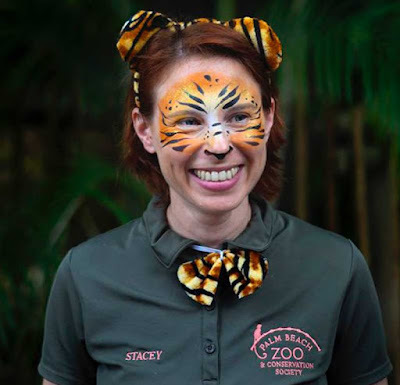 She was performing basic tasks with the male Malayan tiger at the time, said zoo spokeswoman Naki Carter. "This is the first death at the hands of an animal in the history of the Palm Beach Zoo," she said. The tiger was not on exhibit at the time of the attack and guests were never in danger, Ms Carter added. Ms Konwiser was taken to St Mary's Medical Center, where she died. West Palm Beach police said the Malayan tiger, a critically endangered species, was tranquillised. Ms Carter said Ms Konwiser was known as "the tiger whisperer" because of how well she handled the attraction's four Malayan tigers. It is not known which big cat carried out the attack, but the victim earlier this year uploaded a photo of a tiger to Facebook. Ms Konwiser, who was married to another keeper at the zoo, commented on the picture: "The newest man in my life." The zoo will remain closed until further notice. Oh man, no matter how close you are to the animals, they are still animals. They could misread something for a threat, panicked and attacked. It doesn't matter whether they mean to harm the keeper. Even Cesar Milan gets bitten from time to time. Indeed. You can never fully trust cats, especially those over a certain size. Even my Crazy Orange Kitty, who is the sweetest little guy (well, not so little) you'd ever want to know, will nail me with an out-of-the-blue-Twilight-Zone deep bite once or twice each year. She's been upgraded from "Tiger Whisperer" to "Tiger Screamerer".